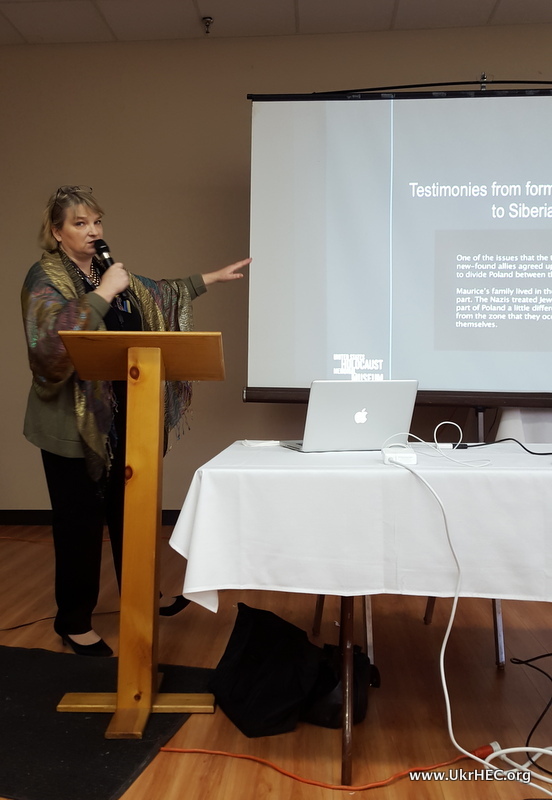 On March 19, 2016, the Center, the "Nashi Predky" Ukrainian genealogy initiative, and the US Holocaust Memorial Museum teamed up for a special, well-attended, and very positively received workshop on World War II-era records. Nearly 70 people came to the event from throughout the Northeast and Mid-Atlantic region. The USHMM holds extensive research materials, and part of its mission is to connect survivors of the Nazi era with records that document their and their families experiences. Among the most important resources at the USHMM for genealogists and family historians is their ability to directly access the holdings of the International Tracing Service. The ITS was established in Bad Arolsen, Germany after WWII to serve as a repository for the millions of pages of documents that were captured by the Allied armies, as well as DP and other post-war records. The USHMM is the only institution in North America that has the ability to directly search the ITS Central Name Index and provide copies of the more than 150 million digitized documents in the ITS archives. Jaime Monllor (International Outreach Officer, Curatorial Affairs for the USHMM) presented a short introduction to the USHMM, its holdings, and its mission. 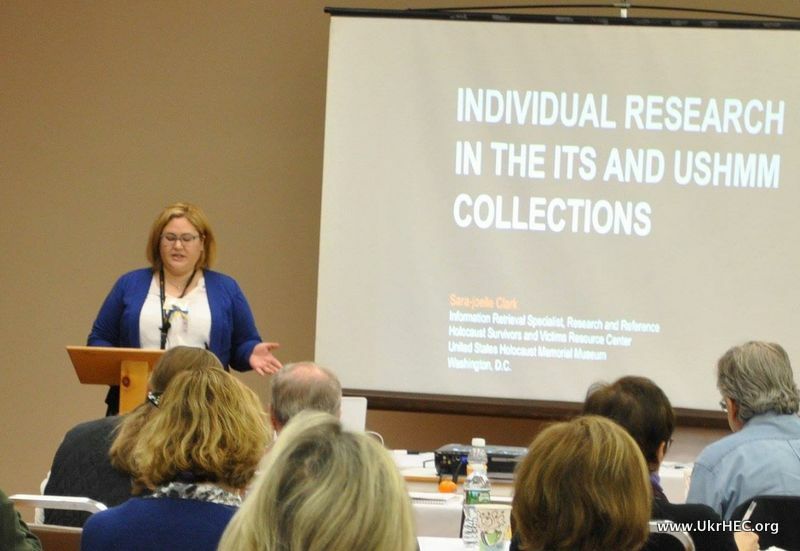 This was followed by a talk on approaches to searching the USHMM combined library and archives catalog by USHMM reference librarian Vincent Slatt, and an overview of the ITS collections by USHMM Information Retrieval Specialist Sara-Joelle Clark. Ina Navazelskis, the USHMM's Program Coordinator for the Film, Oral History, and Recorded Sound Branch, then gave a presentation on their oral history program, and played examples of oral history testimonies from Ukrainian Americans already in their collections.In the afternoon, Vincent and Sara were able to connect into the USHMM computers and provide one-on-one research sessions using the ITS database and collections at the USHMM. Many attendees were amazed by the volume and scope of records that they were able to find, and some found information on ancestors that they never expected to find. During this time, "Nashi Predky" organizing committee members Michael Andrec and Justin Houser gave general-interest background talks. Michael (who is also the Center's archivist) gave a general overview of the history of the World War II period, and Justin presented an introduction to genealogical research methods for people just getting started with tracing their family's history. I had the absolute best time this weekend listening to all of the volunteers that are helping us all to connect with our ancestry. I thank you all so much for the help trying to connect the dots and fill in the missing links into our searches. The staff from USHMM were amazing and did what they could in such a short time. Once again DYAKOYIU!!!! Thank you Justin and Michelle, Michael and Natalka. 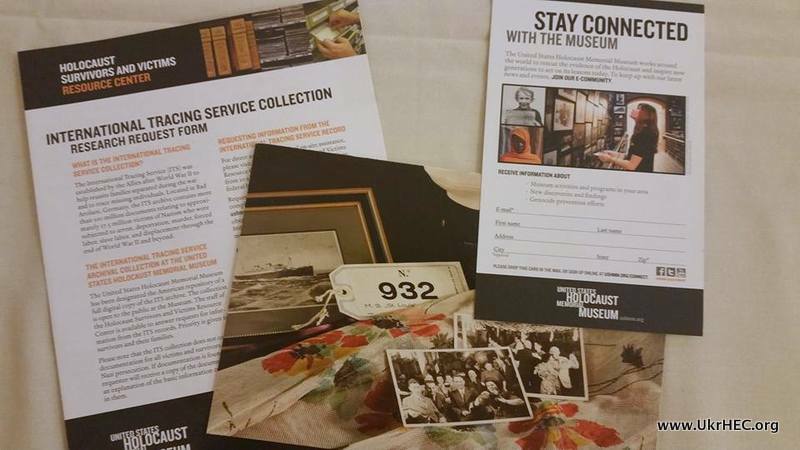 -- Laura S.
Due to the tremendous demand for research slots, the USHMM staff graciously agreed to come on Friday the 18th, and do research sessions in the afternoon and evening. 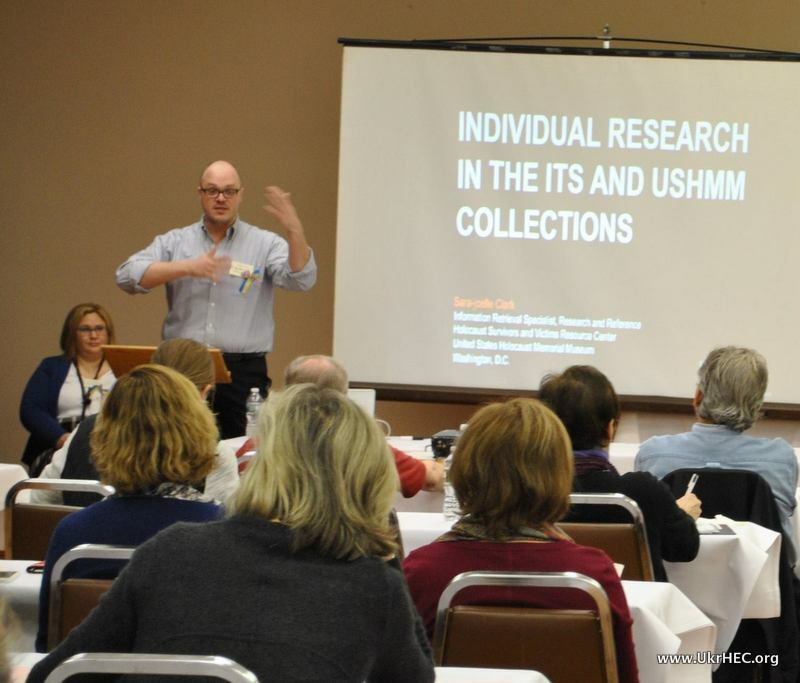 Those waiting for their slot were able to participate in an informal discussion session with Justin Houser and fellow "Nashi Predky" organizing committee member and professional genealogist Michelle Chubenko. The Center and the "Nashi Predky" intiative would like to thank the USHMM helping to make this fantastic event possible!